I thaw them on the counter when it’s time to bake. Thawed bananas can get liquidy when mashed, but that doesn’t affect the final product negatively. The friend who made this most recent batch of banana muffins with me said they tasted healthy. She claimed that was a compliment, but take it as you will. If you don’t want healthy-tasting muffins, try using some white flour instead of all whole wheat. 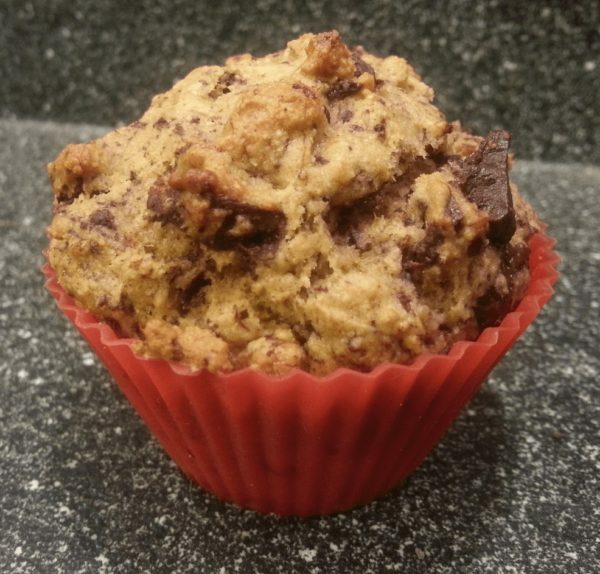 Regardless of the flour you choose, these muffins are good warm or cold. The mixing technique is adapted from the 1997 edition of The Joy of Cooking . It results in a light, cakey texture quite different from the dense banana breads of my early baking career. Beat together the butter and sugar in a small bowl until light and fluffy, about 2 minutes.